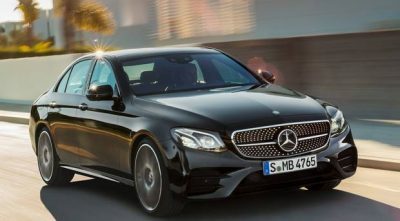 This is a high-performance version of the Mercedes E-Class, the AMG E43 4MATIC, which has just arrived in some Irish dealerships. It has a starting price of €93,365 ex-works, though it can be safely speculated that by the time some buyers are finished speccing it up the cost will run well into six figures. Using and modifying a variety of elements from motorsport, it is powered by a 3-litre, V6 bi-turbo engine (0-100 kmh in 4.6 seconds), which develops a whopping 401bhp. Among a variety of stuff on board are 19in AMG five-spoke light alloys and chrome-plated, quad-flow exhaust tailpipes and spoiler. Sport seats are standard too, as are AMG pedals, black roof lining and red seatbelts. Also standard is four-wheel drive and an AMG 9spd sport transmission with speed shift and multi-clutch technology. And all cars get a special multi-chamber air sports suspension.